Toyota will recall 2.5 million cars sold in the United States to repair a faulty power window switch that has been linked to reports of smoke and fires. So far, Toyota is unsure if the defect has resulted in any crashes. Toyota’s recalling occurs in adherence to a National Highway Traffic Safety Administration investigation and is part of a global recall of approximately 7.5 million vehicles. 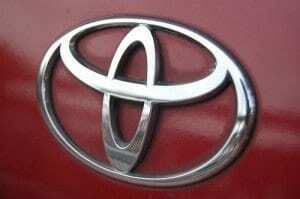 Models affected by Toyota’s recall are the Yaris (2007-2008), RAV4 (2007-2009), Tundra (2007-2009), Camry (2007-2009), Camry Hybrid (2007-2009), Scion xD (2008-2009), Scion xA (2008-2009), Sequoia (2008-2009), Highlander (2008), Highlander Hybrid (2008), Corolla (2009) and the Matrix (2009). Toyota’s recall comes during a rebuilding period for the Japanese motor company, who has made large market-share gains in the U.S. since massive recalls in 2010 and Japan’s earthquake and tsunami in 2011 have caused Toyota setbacks. Toyota has even seen sales plummet in China because of a boycott by consumers avoiding Japanese goods in regards to a territorial dispute over islands claimed by both countries. Toyota plans to repair the faulty parts in its vehicles by applying a special fluorine grease to the power window switches. Toyota vehicle owners who are covered by this safety recall will receive a letter via first-class mail in late October to have their cars inspected and fixed. According to Toyota, the repair should only take one hour depending on dealer’s workload.